The Kiama District Sports Association (KDSA) is looking to mimic the successful strategy of the Jamberoo Combined Sports Association to obtain funding for sporting facilities throughout Gerringong and Kiama. As reported in The Bugle, the Jamberoo sporting clubs worked together to map out the future needs of their local area. 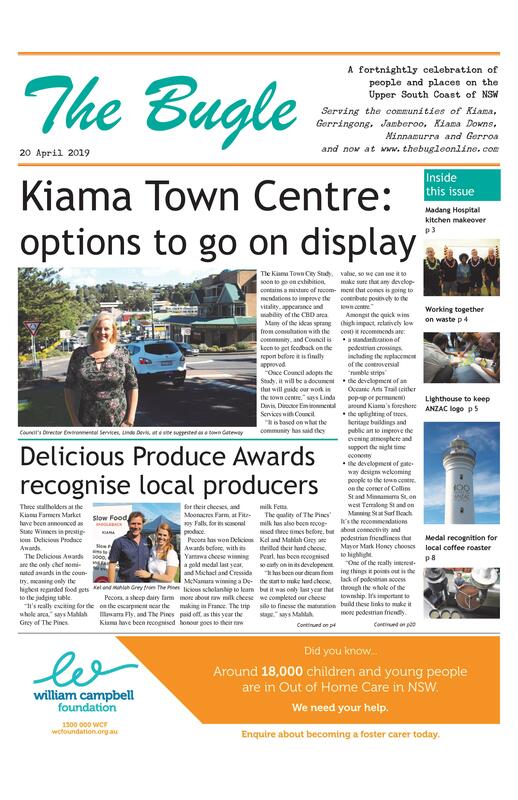 This resulted in a forward plan being devised which allowed them to successfully lobby Gareth Ward and Kiama Council for the $1.55 million in funding to complete most of their wishlist. “All interested residents and sporting groups are invited to attend our first public meetings to get the initiative off the ground,” says KDSA President Col Rathbone. “We hope the meetings will tie the wishes of the various clubs together so that they can present a united approach to any source of funding for these proposed projects, as well as setting a priority on any proposal. The KDSA is looking to build as comprehensive a list as possible. Col cites a number of obvious examples of what needs to be done. While Gerringong Lions has already managed to get some improvements at Michael Cronin Oval, the change rooms and toilets are still in need of an upgrade, and funding is still being sought to complete the new clubhouse. Also the Gerringong Breakers have plans for a major upgrade at Gerry Emery and Athol Noble Oval. In Kiama, the Quarriers have had plans drawn up for a new Clubhouse/Toilet building at the Quarry Complex. “These are just some of the projects that are on the sporting clubs wish list and are what the KDSA want to prioritise, as well as canvas what else may be required by the community,” he says. Everyone is welcome to attend, not only members of the KDSA, as it is hoped a good attendance will result in a very broad range of interests and needs for the whole of the Gerringong and Kiama sporting communities being identified. Members of Council have also been invited to attend. “Come to whichever meeting suits you,” says Col.
“We don’t want anyone to miss out the meeting closer to home doesn’t suit you.